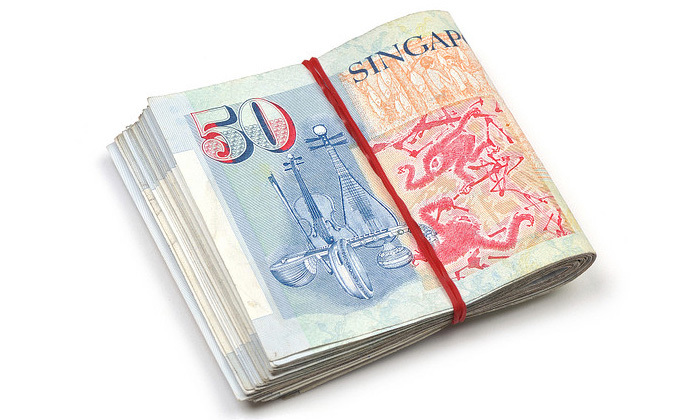 The highest wage holders in Singapore may have to tighten their purse strings a bit this year, as latest figures report a slight drop in their 2013 median incomes. According to the Department of Statistics’ Key Household Income Trends 2013 report, local households within the top income bracket saw a 5.2% dip in their average monthly incomes, from $11,552 per household member in 2012 to $11,198 in 2013. “Among the top decile, households with at least one member who was an employer saw a larger drop of 11% in average household income per household member,” the report said. Households headed by those in a managerial role also encountered an 8.7% real decline in salaries, from $12,899 in 2012 to $12,047 in 2013. This was followed by a drop in salaries for associate professionals and technicians (3.7%), and those in the ‘others’ category (5.6%). However, the report also found an increase in real growth in average household income for the rest of the nine deciles. “Among resident employed households, median monthly household income from work increased from $7,570 in 2012 to $7,870 in 2013, a 4% growth in nominal terms, or 1.6% in real terms,” the report said. In addition, salaries of the bottom 10% of the income group increased by 2.4% in 2013, as opposed to falling by 1.2% in 2012. Their average monthly incomes rose from $440 in 2012 to $463 in 2013. The overall impact of the rise in salaries for the lower income group, and the decline in salaries for those in Singapore’s highest income bracket, has led to a drop in income inequality levels, or the Gini coefficient. “The Gini coefficient decreased from 0.478 in 2012 to 0.463 in 2013. After adjusting for government transfers and taxes, the Gini coefficient in 2013 fell from 0.463 to 0.412, reflecting the redistributive effect of government transfers,” according to the report. How hard are your staff really working? The new recognition systems will work together with existing biometric devices to identify falsified EPs and passports used by for.. Here's how AirAsia’s chief Tony Fernandes appreciated his cabin crew's efforts by putting himself in their shoes. ..
“Do I need to go down and get the certificate that says I’m CEO of the company to get you to stop challenging me on this?”..
Who will be Microsoft’s next CEO?